Make sure it's safe to drive, bros! Summer might be synomymous to bakasyon, but that doesn't mean you have to stay cooped in the city during the rainy season! 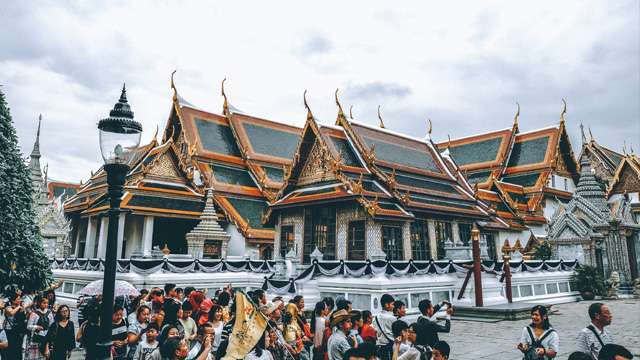 Here are seven destinations that are just as terrific (if not better!) when explored during a drizzly day. Disclaimer: Check the weather conditions first before your trip. We do NOT want you traveling during a tropical depression or a full-blown storm. Stay safe, kids! Since it's already raining, you should have no problem getting a little wetter at the Camsur Watersports Complex! You'll have a blast trying out wakeboarding (rates start at P180)—it can be a bit difficult at first if you're not a water baby, but with some practice, you'll be having a blast in no time! Cool down after at the Lago Del Rey Aquapark (rates start at P150), where you can try water slides, paddle boarding, kayaking, and other water sports. 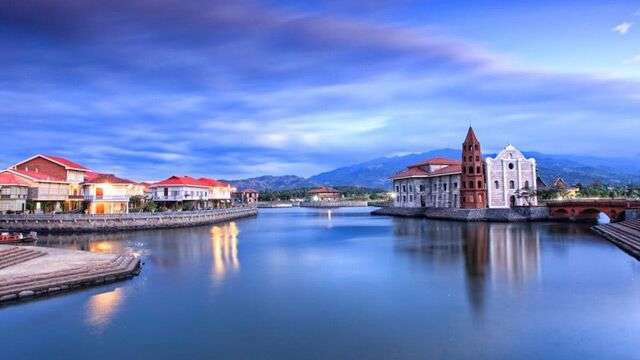 Get a taste of Pinoy heritage at Las Casas de Filipinas de Acuzar (tours start at P1,500). Spend the afternoon exploring the 18th-century casas in the resort to see how life was during the time of Rizal and Bonifacio. Cap off your history-filled day with a stop at the Mount Samat National Shrine, which honors the bravery of the Pinoy and American soldiers who fought during World War II. Tayo na sa Antipolo! The nearby city is a great place to unwind with your woman during the rainy season. Spend a cool morning at Pinto Art Museum (P200 for a regular ticket) and, in the afternoon, reward yourselves with some well-deserved R&R at Luljetta's Hanging Gardens and Spa (packages start at P1,150). Baguio is one of those rare destinations that are great all year round. Spend a day brushing up on Baguio's vibrant art scene at the BenCab Museum (admission fee is P120) and Tam-Awan village (entrance fee is P50). Feeling brave? Explore the Diplomat Hotel (no entrance fee) for a spine-tingling good time! The rainy season is the perfect time to visit waterfalls, and Laguna has a ton of them. Pagsanjan Falls is one of the more famous—if not the most famous—waterfalls in the province. There are two ways to reach the falls: by riding a boat or “shooting the rapids” (rate is around P600+) or by hiking and rappelling (rate is around P270). If you're not the outdoorsy type, you can always go to Enchanted Kingdom (rates start at P600) with your barkada for some old-school fun! Want to learn how to surf? Trust us on this: The waves are way better during the rainy season. Head up north to Baler to catch the swell from the Pacific Ocean (surfing lessons at Sabang Beach cost P350 per hour, board rental is P200 per hour), and take a break from the waves by availing of a tricycle tour to see the province's best destinations (starts at around P500 for a half day tour). The rainy season shouldn't stop you from seeing the beauty of our seas. Head to Anilao, which has several dive sites for every kind of underwater explorer, from first-time snorkelers to experienced divers (rates vary, but expect to shell out more for diving). You can pass by Tagaytay after for some piping-hot bulalo—perfect for a rainy day!